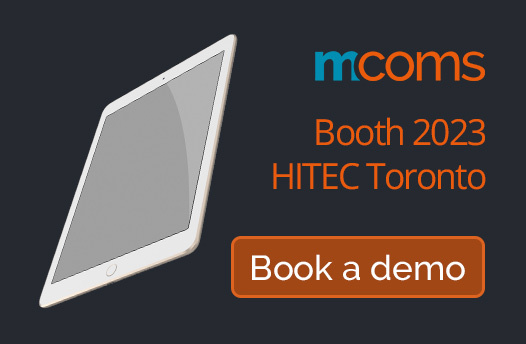 MCOM Media Communications a leading IPTV and Guest Facing Solution Provider to the Hospitality Industry, would like to invite you to HITEC 2017 in Toronto from June 26th to 29th. This year we will showcase the new HOTstream TV UXs cutting edge design and possibilities. Check out HOTstream View, HOTstream Mosaic and HOTstream Flex or ask us to design a custom solution for your property. MCOMS will also be sharing all the latest features like: new OMS management tool, live demo of our multiple integrations with hotel systems, as well as our offerings in Screen and Content Sharing and OTT technology. MCOMS will be available for private appointments so please be sure to reach out as soon as possible so we can ensure you the time you need to experience our HOTstream Solution. To book a demo please click here. You will also be automatically entered into our iPad drawing. We all look forward to seeing you in our booth.